At a private event at the Guggenheim Museum in New York City on Thursday, Apple unveiled its multi-pronged approach for cracking the higher education market with iBooks 2, iBooks Author, and iTunes U. The result is an environment for creating, distributing, and consuming learning materials that is entirely contained within the Apple product ecosystem. This free iOS app focuses on reading, annotating, and participating with interactive textbooks. 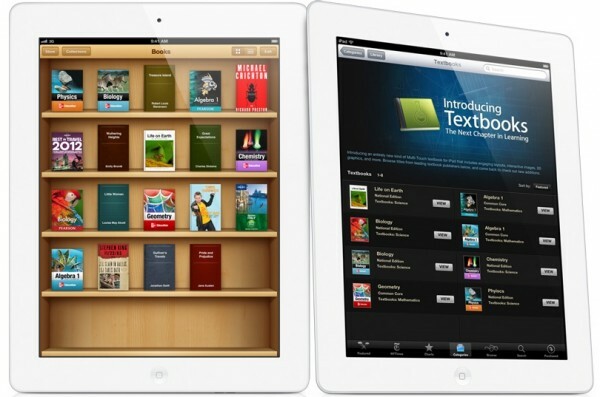 Apple says it supports fullscreen books, interactive 3D objects, diagrams, videos and photos. This publishing app is also free in the Mac app store (but requires OS X Lion.) It contains templates for design layouts, and lets publishers and authors add their own text and images, as well as interactive photo galleries, movies, Keynote presentations and 3D objects. The new iTunes U app lets teachers compile and distribute their essential course material through iTunes. This includes lectures, assignments, books, quizzes and syllabuses, and so forth. A handful of high profile learning institutions piloted iTunes U, including Cambridge, Duke, Harvard, Oxford and Stanford, and it's already been downloaded 700 million times. It's not exactly new, but beginning today, any K-12 school district can offer full courses through the iTunes U app.